A couple of powerful Logitech Universal Remote Control for everyone! Here are a couple of Universal Remote Control from Logitech that span most pro-am users’ needs when it comes to handle all our beloved HD gizmos. Logitech Harmony 1100 Advanced Universal Remote Control: meet the Remote Control King! The Harmony remote makes it easy for any family member to use the home-entertainment system without help – and start any activity with just one touch of a button. NO more navigating a variety of entertainment components with multiple remotes and/or a complicated sequence of commands, which often require a set of written instructions. Logitech’s range of universal remote controls has been so well-received by the home cinema enthusiast market that the company has rapidly become the number one brand for programmable clickers. And with the high-end Logitech Harmony 1100 it’s easy to see why. With its gloss black styling and 3.5in colour screen, it’s an exact replacement for the extremely popular Harmony 1000. The Logitech Harmony 1100 is similarly capable of controlling up to 15 separate items of kit (via IR or, with an optional extender, RF). But the most impressive feature, one that rivals find impossible to match, is that the control codes for your equipment can be found and stored within seconds thanks to an ever-expanding online database with, so far, over 225,000 available. Of course, you’ll need to hook up the remote to your computer and, subsequently, the internet, which may put off some, but the supplied software is so simple to use, that it shouldn’t take more than an hour to set up. And that includes macros (called ‘Activities’ here), too. Be confident you can control whatever entertainment devices you have today or buy tomorrow. The Harmony 1100 works with more than 225,000 devices from 5,000+ brands – and the list grows every day. The software, onscreen graphics and button layout have all been improved over the Harmony 1000 thanks to consumer feedback. The ability to set up Activities (sequences of events that switch on all of the relevant equipment) is a godsend. For example, tap ‘Watch TV’ and the screen, Freeview box and amp all start up automatically. When used with the Harmony RF Extender (sold separately), the Harmony 1100 helps you control devices that you keep behind closed doors, even those you can’t see. 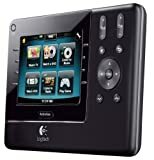 The Logitech Harmony 1100 is available now for US $286.83 so you Save $212.17 (that’s 43% off) so hurry up. The Logitech Harmony 880 Advanced Universal Remote puts you in control of your entire audio-video system with just one button. It’s home entertainment the way it should be–simple. Optimized for complicated HDTV and PVR systems, the Harmony 880 helps you tame tough configurations like switching your television between video aspect ratios depending on the program source. The interactive color display lets you quickly choose a 16:9 ratio for movies and HDTV, or a standard 4:3 ratio for basic television programming. It comes with a recharging station so, never replace batteries again. The Logitech Harmony 880 includes a sleek docking station that keeps the remote fully charged. Your family will always know where to put the remote—and you´ll always know where to find it! The Logitech Harmony 880 Advanced Universal Remote puts you in control of your entire audio-video system with just one button. It’s home entertainment the way it should be - simple. Optimized for complicated HDTV and PVR systems, the Harmony 880 helps you tame tough configurations like switching your television between video aspect ratios depending on the program source. The interactive color display lets you quickly choose a 16: 9 ratio for movies and HDTV, or a standard 4: 3 ratio for basic television programming. Get ready to save up to 65% on this! The Logitech Harmony 880 is now available for US $69.99! The new Panasonic Lumix DMC-ZS3 features 10.1-megapixels, a 25mm ultra-wide-angle lens and 12x optical zoom, meaning it has added 2x optical zoom to the award-winning TZ-series camera, yet reduced its size. The Panasonic Lumix DMC-ZS3 also features a Leica DC Vario-Elmar lens and High Definition (HD) video recording ability, known as AVCHD Lite. It’s not often that we see a whole new video format being introduced on a digital camera, but that’s what Panasonic has done with the Panasonic Lumix DMC-ZS3 ; as well as being a well specified 10-megapixel still camera, it’s the first digital camera to shoot high definition video in the new AVCHD Lite format. Camcorder fans may recognize the first part of the name (AVCHD is the format that many high def camcorders shoot in), but the Lite part is new. AVCHD lite is a subset of the full AVCHD standard, which means that the ZS3 shoots 720p video (which is lower in resolution than the 1080i that most dedicated camcorders shoot) that can be watched on a HDTV and edited in many video editing programs, such as Apple’s iMovie. In fact the Panasonic Lumix DMC-ZS3 is the world’s first digital camera to feature HD video recording in “AVCHD Lite”. Compared with the conventional Motion JPEG format, AVCHD Lite allows longer recordings with breathtaking HD visual and audio quality. This combined with a well-considered control interface, which includes a dedicated movie recording button on the camera’s back panel, makes the ZS3 a hybrid model that performs admirably for both still and motion image capture. The Panasonic Lumix DMC-ZS3 packs a LEICA DC VARIO-ELMAR lens with 12x optical zoom into a compact body. The Panasonic Lumix DMC-ZS3 also expands Panasonic’s popular Intelligent Auto (iA) mode with the addition of Face Recognition–a feature that “remembers” faces from previous shots. When a registered face appears in the frame, the camera will prioritize focus and exposure to capture it beautifully. With Face Recognition, when a familiar face is recorded several times, the camera will prompt the users to register the face. Once registered, if the face appears into the frame again, the camera will display the name specified for that person and prioritize focus and exposure so that the registered face is bright and sharply focused. The Sony DPF-V900 9″ Digital Photo Frame is the perfect way to view and share your memories in brilliant, high-contrast color on a 9″ LCD Screen. You’ll enjoy fast response, direct input from most digital cameras and memory cards: supported memory cards include Compact Flash, SD and, of course, Sony’s Memory Stick Duo. Plug-and-play operation is simple and the Sony DPF-V900 ’s built-in direct HDMI Output even lets you hook up to your compatible HDTV for giant-screen slideshows. There is also a supplied remote control, slideshow viewing, clock/calendar modes and wireless Bluetooth capability with optional accessory to let you display photos from Bluetooth devices and camera phones. Auto image rotation and the auto orientation sensor detect whether the DPF-V900 frame is sitting horizontally or vertically and automatically rotate images. The Sony DPF-V900 decodes and displays up to 48-Megapixel and 100MB images, including JPEG, TIFF, BMP, and RAW file types! Act now, get the Sony DPF-V900 online and save money! It’s only thumbs up for this: Sony introduces the Sony HDR-TG5V Handycam, by far the smallest Full HD camcorder, the successor of the HDR-TG1 (aka TG3E). Sony HDR-TG5V can capture 1920×1080p Full HD video and 4 Megapixel photos. It has a Carl Zeiss Vaio-Tessar lens with 10X optical zoom and a 2.7-inch touchscreen display. Record brilliant, 1920 x 1080 high definition video on the go with the ultra-portable Sony HDR-TG5V Handycam camcorder. With a strong and lightweight pure titanium body and a built-in GPS receiver that maps where you shot your videos and photos and can display your current location, the Sony HDR-TG5V makes an ideal travel companion. Sony HDR-TG5V Handycam will be released in May for $1000 (skyrocket performance come at a price, usually). An optional travel kit (Sony ACC-TCH5) with a battery, travel charger and pouch; and a wide angle conversion lens (Sony VCL-HGE07TB) accessory will also be available, both priced at $100. Go HD with the Samsung BD-P2500 1080p Blu-ray Disc Player! Samsung’s BD-P2500 1080p Blu-ray Disc Player is BD-Live 2.0 Ready with an ethernet port so you can enjoy special interactive features, download extra content from the internet, and more. It has 1Gb of onboard memory and a USB port for memory expansion. You’ll enjoy bold color and crisp details with full 1080p resolution. The Samsung BD-P2500 also offers breakthrough enhancements such as Hollywood Quality Video (HQV) processing and 7.1-Channel analog audio outputs creating a powerful HD audio-visual experience. Plays Blu-ray discs, upscales standard DVDs, and is compatible with BD-ROM, DVD-ROM, DVD-R (V mode only), DVD-RW (V/VR mode), Audio CD, CD-R, CD-RW, and AVCHD discs. HDMI 1.3 output with xvYCC Deep Color support, and a 24fps film mode, exhibiting smoother, more natural playback of film-based material. Samsung revolutionise its DVD Players look! The new Samsung DVD-F1080 becomes a true ‘home decoration’ appliance with high-end performances and the ability to playback almost any video format upto 1080p (that is: full HD) with the most popular multimedia formats like DivX, MP3, WMA, JPEG and MPEG-4 clips. Featuring Ambisound, the HTS8100 delivers full multi-channel surround sound in any sort of room. The 1-piece integrated system fits into the home with ease, providing a full home theater experience with excellent sound and picture quality. Want dolby digital surround without the wires? Look no further than the Philips AmbiSound Home Theater Sound Bar with Integrated 1080p-Upscaling DVD/MP3 Player . Philips engineers have tackled this problem. They’ve managed to take the output from 5 distinct channel amplifiers and placed them in a single speaker called a Soundbar. Within the soundbar, speakers are angled to provide a realistic audio environment that literally emulates sound as if it’s coming from all sides. It’s 5.1 surround without the mess! In addition to the latest audio technology, the Ambisound system is only five inches thick and can be easily mounted onto a wall underneath an existing Flat-TV. The simple, yet elegant design enhances the décor of any home theater space, regardless of the room layout or design. Within the soundbar, speakers are angled to provide a realistic audio environment that literally emulates sound as if it’s coming from all sides. It’s 5.1 surround without the mess! For maximum audio quality and clarity, the Ambisound SoundBar provides a stylish system with amplifier and a DVD player all in a single speaker called a Soundbar. Sony Cybershot DSC-H3 8.1MP Digital Camera with 10x Optical Zoom with Super Steady Shot Image Stabilization . An eight megapixel sensor, a special mode aimed at moving subjects, Sony’s proprietary technology Sony Dynamic Range Optimizer, image stabilizer and a compact body are the key points for this unique superzoom camera. Somehow oddly shaped (just like other previous Sony prosumer cameras) mainly due to the robust grip, the Sony Cybershot DSC-H3 compact digital features a superb zoom in a truly compact body design (4.2 x 2.7 x 1.9 inches - 13.4 ounces, 106 x 68.5 x 47.5 mm - 380 gr). 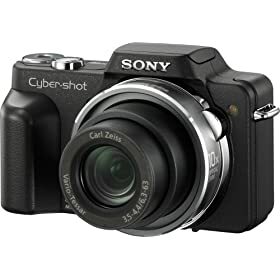 The Sony Cybershot H3 - available in silver or black - has a 8 MP CCD but what really stands out is its Carl Zeiss Vario Tessar 10x zoom lens: a 35-mm equivalent of 38-380 mm, aperture F/3.5-4.4 definitely places this Sony offering near the top of this class of cameras. Macro mode allows for less than 2 cm (much less than an inch) focusing distance from the subject. Super Steadyshot image stabilizer helps avoiding motion-blur in images for both newbies and consumed photographers; for faster shooting, Sony incorporates an Advanced Sports Shooting Mode along with a predictive, multipoint autofocus (9 points matrix). Sony Dynamic Range Optimizer technology, developed for the company’s flagship Alpha DSLR and reused in this high end compact model, analizes CCD captured data and optimizes exposure and hue before JPEG compression and storing. The H3 Cybershot has a 2.5″ LCD display, a Li-Ion NP-BG1 battery - rated at 330 shootings by Sony, uses Memory Stick Pro Duo as storage media and allows for VGA-resolution, 30 fps video recording with audio. 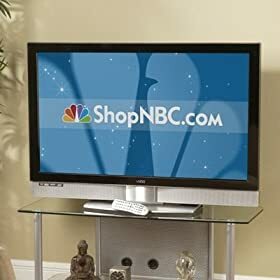 Last but not least, the HD output (1080 lines) provides spectacular photo viewing on your Sony KDL-40V2500 40″ Bravia V-Series 1080p LCD HDTV and other compatible HDTV screens (cable available separately). This a recent (and welcome!) trend even for compact and point-and-shoot cameras: Sony already announced on February the Sony Cybershot DSCW200 12.1MP Digital Camera with 3x Optical Zoom and Super Steady Shot , which sports HDMI output. Available for pre-order now, and expected to be in stores by November 2007, the price For the H3 will be around US$ 300.00. Update: Additional lenses for the H3 are now available, both Super Wide Angle , tele zoom and Macro for close-ups . The VIZIO Gallevia GV47LF HDTV is a huge 47″ widescreen TV, featuring full HD resolution of 1080p and boosting a fast response panel (8ms). 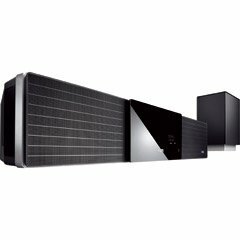 According to the Vizio website, the TV has a full 178 degree viewing angle and a brightness of 500 cd/m2, with detachable stand (allowing users to wall mount the panel) and speakers. So far, all typical specs for a TV set of this size: what is out of the norm for a panel this big is the diminutive price - $1699.99! So if you are looking for a bargain showpiece for your living/entertainment room, this product may just fit the bill (and not break the bank). Sony is rolling out firmware 1.80 for its PlayStation 3 . This latest update will add resolution upscaling capability for PlayStation and PlayStation 2 titles, as well as bring DVD playback to full 1080p resolution when viewed on compatible HDTVs. 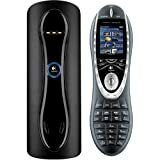 Further enhancements include Remote Play functionality for the PlayStation Portable (PSP) , which allows users to access their PlayStation 3 consoles remotely from its portable little brother using any available wireless connection. Moreover, Sony is boosting the PS3 as a media hub for the front room, adding the ability to network the console with home PCs to stream media content on to TV sets. In related news, VoIP service Jajah has made an update to its website that streamlines it for use on the PS3. As voipstage.com reports, Jajah lets you register with your “home phone number, then when you want to call someone you enter their number into your browser and Jajah will dial your phone and connect you directly”, doing away with headsets as it uses your existing handset (or mobile phone). The service is free between Jajah users. You are currently browsing the archives for the HDTV category.